It's free and easy. Just request a free ruler, create a fishing profile and start posting catches to Trumped Leader boards once they open on May 10, 2013. 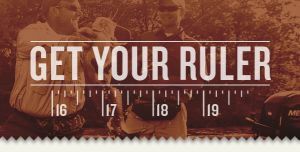 Rulers will be mailed on or before April 30. Click the link below to go to their website to get started.